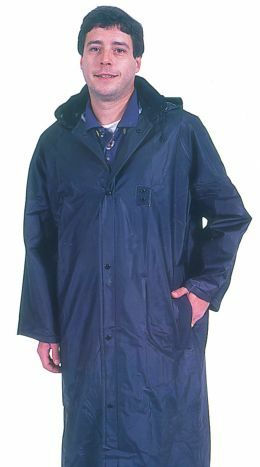 49 inch long black raincoat with snap-on hood, badge tab and vented back for comfort. For heavy duty all purpose uses. Available in safety yellow or black. 35mm PVC bonded to heavy-weight polyester fabric.